Veronica Lam and her husband enjoyed their churros while man-eating Jaws rested in peace at Universal Studios in Osaka. Fashionista Alison Chan-El Azar enjoyed a snowy CNY with her family at La Cave Des Creux in Courchevel, France. 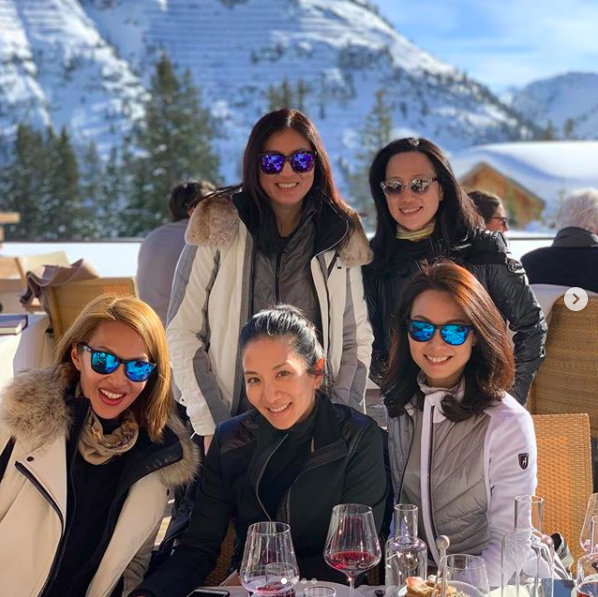 Yolanda Choy spent her holiday in sunny Lech, Austria with her girl gang which included Audry Ai-Morrow, Anne Wang-Liu and Leigh Tung-Chou. Can't beat a meal al fresco! Carmen Yim and her mom wore matching outfits to celebrate the Year of the Pig. Like mother like daughter. Loui Lim wore red to celebrate Chinese New Year at beautifully-decorated Resorts World Genting in Malaysia.